Once again, we find ourselves south of the border for a UFC event. No, it’s not Mexico. The organization has only done that once, and on the whole that pay-per-view was pretty underwhelming. 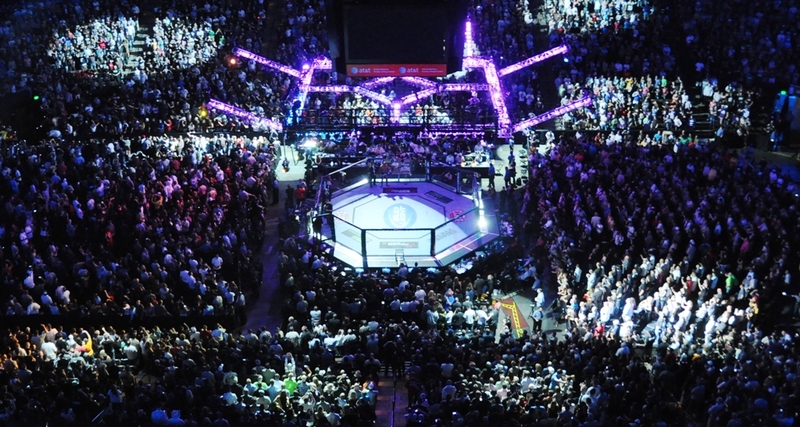 This time, it’s Brazil, the setting for UFC Fight Night 77. The fans are truly in for a treat, too. Not only do they get to see one of their own legends in the main event, but they also get to see him square him off against a fellow legend. Brazilian favorite Vitor Belfort looks to rebound from his loss against UFC middleweight champion Chris Weidman by taking on Dan Henderson, who might be in the midst of a career renaissance after enjoying a first-round knockout victory over Tim Boetsch in his last fight. These two MMA mainstays have squared off twice before, most recently in 2013 (and in Brazil, no less). It took Belfort barely more than a minute to knock out Henderson that time, though many naysayers will point out that Belfort was aided by testosterone-replacement therapy, which has since been outlawed. To be fair, Henderson was also receiving TRT at the time. The undercard of this Saturday’s lineup does a good job whetting the appetite for the historic trilogy main event. Glover Teixeira and Patrick Cummins look to make a statement against each other in a light heavyweight bout, Anthony Birchak seeks to keep his momentum going at the expense of the fast-rising Thomas Almeida, and Corey Anderson has the unenviable task of stepping up on short notice against noted brawler Fabio Maldonado. The action kicks off at 6:30 p.m. ET with three preliminary-card fights on UFC Fight Pass. The festivities move to Fox Sports 1 for the remainder of the lineup, with four additional prelim battles beginning at 8 p.m. ET and the main card at 10 p.m. ET. Combat Press writers John Franklin and Chris Huntemann preview the event in this edition of Toe-to-Toe. Never count out Dan Henderson. That’s what the MMA world learned in his last fight, where he pummeled Tim Boetsch en route to a 28-second finish. 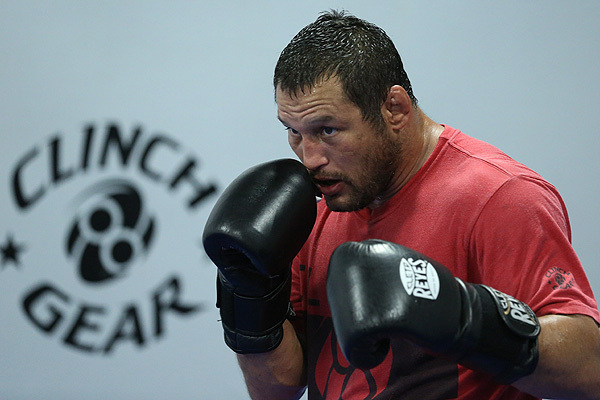 Is “Hendo,” now 45 years old, still a legitimate piece of the UFC’s middleweight division? Can he pull off another stunning win when he meets Vitor Belfort, or will the Brazilian go in for the same quick kill he scored on Henderson when the pair last met in 2013? Franklin: This fight is from what I like to call the UFC’s unofficial “senior division.” While that doesn’t seem like a compliment, it is. I have an extreme fondness for this division. It’s the division that brought us Chuck Liddell vs. Wanderlei Silva, Liddell vs. Rich Franklin and Henderson vs. Mauricio “Shogun” Rua I and II. The criteria for this division is simple: pair two big names who you think you would have rather seen fight in their primes (although these guys do have some history) and have one or both of them believing a win will put them into title contention. What makes sports in general, and fighting specifically, great is urgency. It’s why we care more about the World Series than game 87 in baseball. Urgency is the reason this division is so great. Guys at this stage of their careers don’t know how much they have left, so typically they fight like each fight could be their last. This brings me to the specifics of this fight. These two fighters — and Belfort more so — fight with an urgency in the Octagon that takes a lot of risk and leaves some openings. Belfort fights like he left his car running in the parking lot. He’s always been that way, and for the most part it has served him well. However, an argument could be made that it left him open in his last fight. He was completely in an offensive mindset when Chris Weidman changed levels on him, took the fight to the ground and finished him. The good news for Belfort is that he was as disciplined in the last Henderson fight as he has ever been. That’s what led to the opening where he finished Henderson. Another thing in Belfort’s favor is that, despite the first-round loss last time out against Weidman, his skills largely remain intact from the last time he fought Henderson. The Weidman loss is more a testament to the champion’s greatness in skill set, game plan and execution than it is an indictment of Belfort’s diminished skills. If he remains patient and waits for Henderson to get bored and look to press, Belfort still has what he needs to find the counter that may be the path to victory. The huge caveat to all of this is the thing on the end of Henderson’s right arm. His granite right hand will forever be his equalizer in the Octagon. Betting against that right hand is like betting against a bolt of lightning. Even as the chance it will strike you diminishes, the result when it does never changes. Huntemann: How awesome would it be if the UFC had an official senior division? I think Johnny boy is on to something there. However, if you want to check out a “senior division” in MMA, all you have to do is watch Bellator on Friday nights. Zing! I kid, I kid. On topic, is Hendo still a legitimate piece in the middleweight division? Barely. 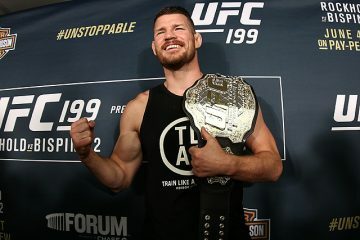 Take a look at the UFC’s middleweight rankings. They’re very top heavy – the top three contenders to Weidman are all legit threats to take the belt. 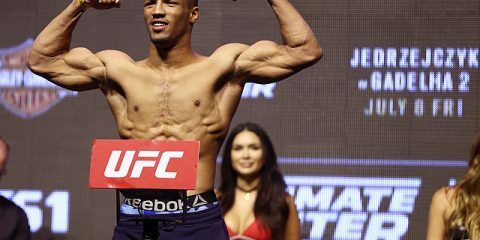 Could Hendo beat Luke Rockhold, Ronaldo “Jacare” Souza or Yoel Romero? Probably not. Those guys are legitimately dangerous fighters. After that, there are guys like Lyoto Machida, Tim Kennedy, Michael Bisping and Gegard Mousasi. Hendo’s greatest knockout in his career came against Bisping, but he was bumrushed by Mousasi. So I’d say Hendo might belong in that range — the top 10 or 15. He’s currently ranked No. 12, so he’s right where he should be. If he knocks out Belfort, who’s the betting favorite across the board in this fight, then I think a deeper conversation can be had about Hendo’s worthiness as a title contender. Hendo is not a young man anymore (thanks, Captain Obvious!). But he still has the ol’ H-Bomb in his arsenal. If you have one-punch knockout power, then you always have a puncher’s chance. Against Weidman, Belfort just did not look like the same fighter who reeled off highlight-reel finishes in his previous fights. Was it because he was no longer using TRT? That’s probably oversimplifying it a bit. Most of it is just the fact that, yes, Weidman really is that good. But while both Belfort and Hendo are not as spry as they used to be, Hendo looks like he still has something left in the tank. How far can it take him? I’m not sure. The light heavyweight division has some elite fighters at the top of the ladder right now, including the returning Jon Jones. Move down a rung or two and you’ll find the UFC Fight Night 77 co-headliners, Glover Teixeira and Patrick Cummins. 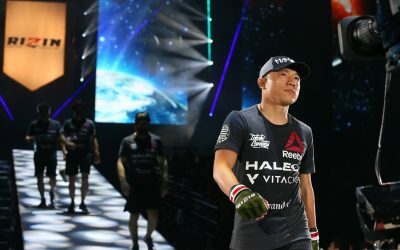 Is either man poised to move into the elite group alongside Jones, champion Daniel Cormier and top contenders Alexander Gustafsson and Anthony “Rumble” Johnson? Huntemann: First things first, I like Teixeira to win this fight. He’s the betting favorite, as he should be. He looked very impressive in his last fight against Ovince St. Preux by showing off some submission skills to go with his vaunted knockout power. 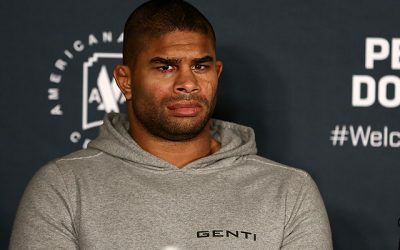 Cummins has looked much better since getting ragdolled by Cormier last year, but Teixeira will be his toughest test to date and looks to be a more well-rounded fighter since losing to Jones last year. While he’s a dangerous fighter on the ground, Teixeira’s bread and butter has mostly been his knockout power. 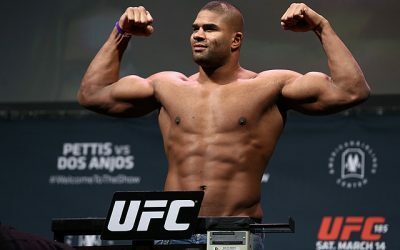 But can either Teixeira or Cummins join the “elite” in the light heavyweight division? I would say it’s much more likely for Teixeira than Cummins (for the record, I don’t consider Gustafsson to be among the elite and I think Rumble barely qualifies, but that’s another discussion for another day). I still don’t know what to make of Cummins. He was dominated by Cormier in his UFC debut, but he took that fight on two days’ notice after slinging coffee beforehand, so I think we can give him a pass. Since that fight, he’s won four of five and his lone loss was probably against OSP, his toughest opponent after Cormier. Notably, OSP was submitted by Teixeira. The road to elite status is much easier for Teixeira. 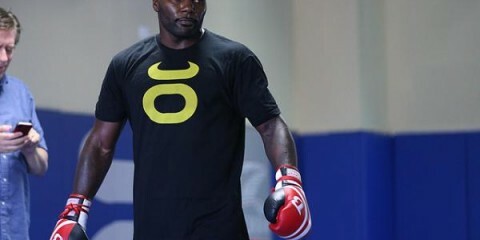 He’s already faced and beaten some of the big names at light heavyweight, including Quinton “Rampage” Jackson and Ryan Bader. He went the distance with Jones and Phil Davis, albeit coming up short both times. He has already shown he can hang with the elite, so his return to that status will come much more quickly than it would for Cummins. Franklin: First, I would be remiss if I didn’t stick up for Gustafsson, despite the Swede having very little to do with the matter at hand. Twice, he was a convincing fifth round away from wearing the 205-pound belt. He clearly fights to the level of his competition, but let’s move on. Here’s my thing with Teixeira: I just don’t know what the UFC is trying to do with him. Is Cummins a tune-up fight for something bigger, or is Teixeira the patsy while the push is for Cummins? 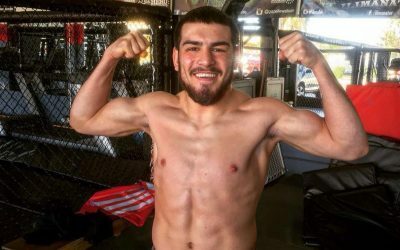 The only thing that makes sense to me is that UFC matchmaker Joe Silva knows that scheduling Tex (literally no one calls him Tex) a fight with Cummins means he has to get his wrestling that much sharper in preparation, and that helps him in future fights with literally the entire top of the food chain. Rashad Evans, Cormier and rematches with Jones and Bader would all require a larger grappling tool box than he currently has. As far as a pick goes, I’m with my colleague. Teixeira is the guy. His wrestling is good enough and in the stand-up, he is better today than Cummins will ever be. I don’t think Teixeira can throw Cummins the kind of beating he tossed to Fabio Maldonado — Teixeira may still have a warrant in Rio for that assault — but part of that is that Maldonado’s face is a magnet for bombs. Cummins won’t make a fool of himself and may hold his own a little, but there will be no doubt who’s running things in there. In the lineup of prelim fights on this card, one name that seems to stick out is Clay Guida. A longtime fan-favorite and one-time title contender, Guida has been mostly an afterthought in the lighter weight classes for the last few years. Where does “The Carpenter” stand? Can he climb the ladder back to title contention? Or does he even qualify as a gatekeeper at this juncture in his career? Franklin: Chris, if I told you I had a fighter and he had victories over Josh Thomson, Mac Danzig, Nate Diaz, Rafael dos Anjos, Takanori Gomi and Anthony Pettis, and lost split decisions to Gilbert Melendez, Tyson Griffin, Diego Sanchez and Gray Maynard, and lost a unanimous decision to Benson Henderson, you’d probably be looking to fit him for a Hall of Fame jacket (OK, there are no jackets). Then I tell you it’s Guida. The tailor would pack up his measuring tape. Guida is a true enigma. You literally cannot tell the story of the 155-pound division in the UFC without him and yet you never truly felt like he was a real threat to wear the belt. However, he’s kind of the lineal champion of the division. 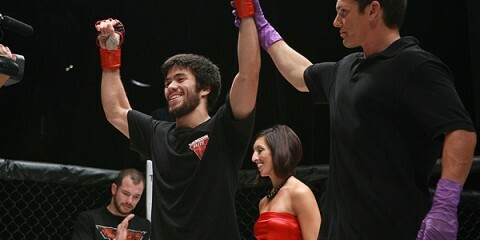 As far as his long-term prospects in this division, Guida is one of those guys that everybody likes and nobody loves. At his best, he was a bad match-up for everyone he stepped in the Octagon with. When he stepped in the cage, there was a brick on the accelerator and sometimes his opponent went off the cliff and sometimes he did. Guida always struck me as the kind of guy that fighters really needed to game-plan for but never thought they did. Nowadays, as his age has increased, his pace has slowed. While he can still move in there and keep a good pace, it’s not what it once was. He doesn’t beat high-level guys to the punch and the shot like he used to do. Without the pace, you realize the rest is just average at best. Chael Sonnen told me once (watch your feet, the new guy is dropping names) that the 145- and 155-pound weight classes are the deepest divisions and both have 10 Jon Joneses in their ranks. 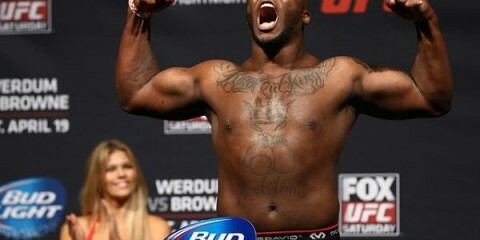 At this point, Guida should be happy to be Tito Jones (World Series of Fighting mention; it’s the future, folks). The title run just isn’t there, but he will always be a guy who can expose those who step into an Octagon unprepared. Guida is that splash of water on the face and look in the mirror a fighter needs to let himself know how serious he is willing to take this game. Huntemann: Guida’s downfall began when he was thoroughly outclassed by Benson Henderson in 2012. Guida went into that fight as the apparent No. 1 contender and just needed a strong showing against Bendo to solidify his spot. Well, we all know how that turned out. Bendo basically put a clown suit on Guida, who should have been lucky that logistics forced the fight to not be seen by many people, since it was on the non-televised undercard of the whopping 64-second debut of UFC on Fox. You would think that losing his No. 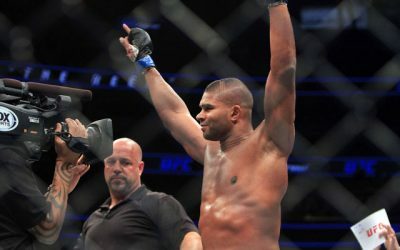 1 contender spot to Henderson would motivate Guida to come back with a vengeance and remind everyone of why he’s not only a fan-favorite, but a dangerous fighter. Yeah, not so much. He followed up his loss against Bendo with a stinker against Gray Maynard. It’s no secret that at times Greg Jackson coaches his fighters to win on points rather than go for the exciting finish. Unfortunately, Guida took Jackson’s advice to the extreme for his fight against Maynard and looked nothing like the exciting “Dude” from The Big Lebowski that we all came to know him as. He looked like a tentative fighter who wanted to play it safe. Since then, Guida’s been pretty listless. He’s alternated wins and losses and just seems sort of… there, as my colleague suggests. He’s someone you can stick on a fight card and know that at least some people will tune in to see him or bring cardboard cutouts of handsaws to the arena. Guida is one of the most fan-friendly fighters out there. 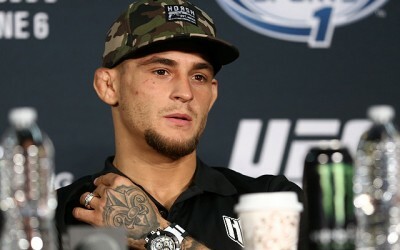 He will always have a place in the UFC because he’s still capable of delivering the occasional exciting performance — when he’s not laying and praying, that is — but his days as a contender are over. Thomas Almeida sits right outside of the top 10 in the 135-pound division. With knockout wins over Yves Jabouin and Brad Pickett, does the young Chute Boxe product find himself in a position where a win here over Anthony Birchak, coupled with two more top-10 wins, gets him a title shot? Huntemann: In this scenario, absolutely. Almeida is definitely a guy to keep an eye on. Of his 18 victories so far, only one went to a decision. That’s insane. The Brazilian is primed for a run at the top, and his fight with Birchak is a great opportunity for a highlight-reel finish. Birchak knocked out former bantamweight title contender Joe Soto in the first round in his last fight, so I do not expect this one to go the distance. If Almeida finishes Birchak, I don’t think Almeida will have to take two more fights to get a title shot. A victory here probably means Almeida faces someone like Aljamain Sterling, who also boasts an undefeated record, with a title shot on the line. Can you imagine those two squaring off? It’s enough to make one pee one’s self in excitement. The pickings at bantamweight are slim at the moment, so the time is now for Almeida’s ascension to the top. Franklin: Chris, I hear ya. I really do. Here’s my problem with Almeida, and this is coming from a card-carrying member of his fan club: I don’t know if you can market him for a title shot, especially if T.J. Dillashaw is the champ, because he is literally the exact opposite of Conor McGregor with regards to hyping fights. Dominick Cruz could maybe show the public the depth of Almeida’s skills and play the Brazil vs. USA card, as he just has more personality at his disposal. Maybe you throw Urijah Faber at him to get a big name on his resume. Just too much needs to happen. You shouldn’t have to have your hand held to hype a title shot for yourself. However, let me take a second to harken for days gone by and say in full disclosure that this line of thinking makes me feel like a very old man. Time was that we got a chance to watch a guy grow and develop. This kid is 24. That’s super young in the sport. I understand that guys like Jon Jones and Georges St-Pierre were real contenders at 24, but even GSP fought literally everyone at 170 pounds and had to beg for a title shot. I also respect the fact that with the new Reebok deal if you are Thomas Almeida, the money changes on a couple different fronts with the belt. I understand that anything can happen in the sport — and look how much time Cruz lost based on training camp injuries — I just want these guys to fight for title shots when both the fans are screaming for it to happen and when they are ready. That typically happens around the same time and it’s very rarely when a guy is 24 or 25 years old. Now, if you’ll excuse me, I have to go get some kids off my lawn and head over to my Silver Sneakers class. Got to keep the cardio tight. Franklin: I think the fights of Thomas Almeida, Alex Oliveira and Rashid Magomedov may do the most to inform the future about who is for real and who isn’t. (Where is Clay Guida when you need him?) However, the fight that is going to be the sleeper is the contest between Abel Trujillo and Gleison Tibau. Ever since Trujillo planted Jamie Varner in the fight after Varner lost to Tibau, we have looked for that type of magic from Trujillo. I’m not sure if that magic is always there and he just can’t find it or if that night was an anomaly. What I do know is that he looks for it every time out. I don’t know if he will find it, but I know that Tibau won’t make it easy. He’s a pro, and if you come in one-dimensional against him, you might end up in the back trying to put the pieces together and wondering how it all went wrong. Tibau’s resume isn’t as strong as Guida’s, but he’s got a nice list of killers he sent back to the drawing board. Huntemann: You shoulda stuck with your first instinct, Johnny boy. The sleeper is Almeida vs. Birchak, for the all the reasons I mentioned earlier. Belfort/Hendo III is getting the publicity because of the stature of the fighters involved, and Teixeira is absolutely beloved in Brazil, but Almeida and Birchak truly have the potential to steal the show. Almeida is a highlight finish waiting to happen, and Birchak is trending upward after his last performance. Both guys are young, hungry and eager to make a name for themselves. The action will come fast and furious. And just like the movie franchise of the same name, the resulting crash should be spectacular. Huntemann: An oxygen tank, particularly for the main card. I don’t say this very often, but the potential for exciting and possibly violent finishes is high with this card. Every main-card bout has at least one fighter who’s capable of delivering an exciting finish. From the first main-card fight with Fabio Maldonado, who’s famous for putting on bloody brawls, to Anthony Birchak and Thomas Almeida, who are each capable of devastating finishes, to the main event with Hendo’s right hand and Belfort’s spinning kicks, you probably don’t want to change the channel very much during this card. If the period of time between Halloween and Thanksgiving has you bored, this card could be the perfect remedy. Franklin: Some testosterone. The main event contains the two fighters most connected with TRT and the card is built for those who have a lot of it and like to watch guys rear back and swing for the fences. If you need some testosterone,d Belfort’s levels typically look like what you’d get if you combined the tests of all of the Avengers, so he has it to spare.